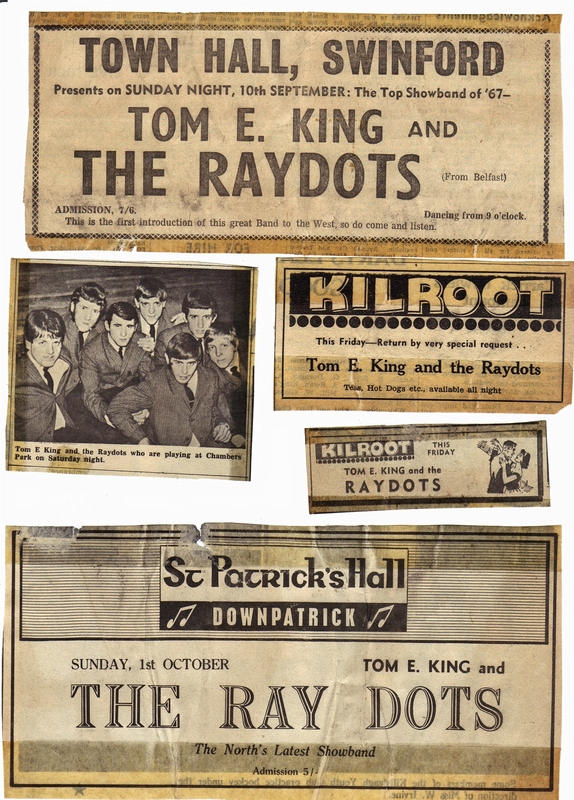 i am sure that every town and city in ireland had a local newspaper which dedicated a page to the music scene and thats how many of the showband fans got to know where their favorite showband or group was about to appear. 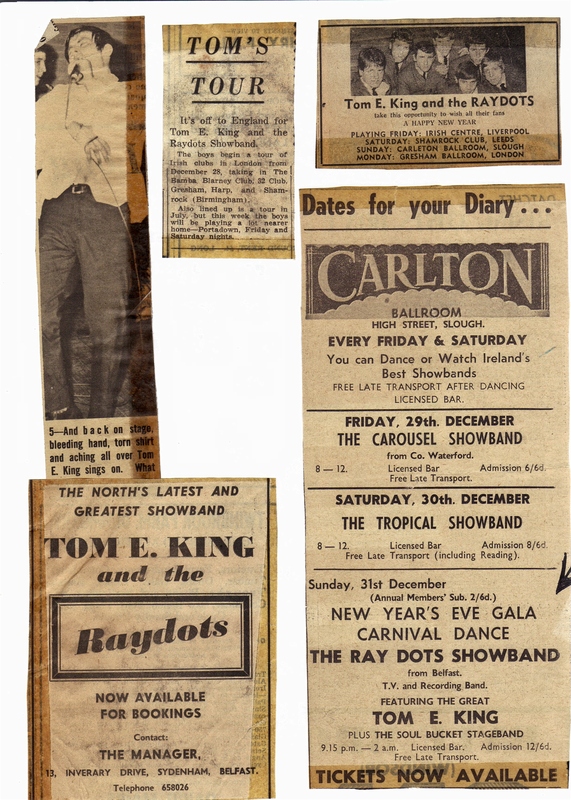 thanks to them for doing a great job, here are just a few that were printed about THE RAYDOTS SHOWBAND. my sincere thanks also goes to ALAN JONES for giving me access to his photo and press arcives.